Located in south-western Hungary, the county of Zala shares borders with Croatia and Slovenia. With a population of nearly 300,000 inhabitants, the region is made up of Hungarian, Roma, Croat and German communities. The city is comprised of many ethnic villages and neighbouring towns boasting ancient palaces, castles, museums, vineyards and thermal lakes. Cheap flights to Zala are now available for a limited time only, so book your flight today and prepare to be swept up by the sovereign history and picturesque landscapes this modest city has to offer! Zala is home to Hévíz–Balaton International Airport (SOB), a 40-minute drive from Zalaegerszeg. Marvel at the regal palaces and castles, spanning vast histories over hundreds of years. Festetics Palace, Keszthely Castle and Szigliget Fortress are striking landmarks not to miss. The sprawling vineyards, purple lavender fields and majestic lakes set against clear, blue skies and lush, green volcanic hills make for a picturesque backdrop. Explore the scenery by boat or on foot, meandering up to the towering peaks. Feast like royalty on delicious Hungarian cuisine. 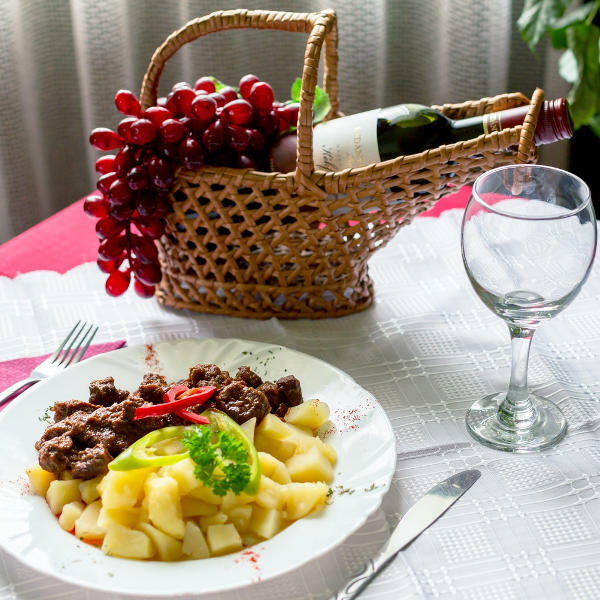 Send your taste buds on a swirl with traditional goulash, lángos and főzelék. The famed wine region of Héviz produces top-quality wines in age-old cellars, where you can sample true masterpieces. There are four distinct seasons in Hungary, with a very warm summer season between June and August. Summertime attracts the most tourists so be prepared for a few crowds. The best time to visit Zala would be between March and May as there are less crowds during this time, the flowers are blooming and the weather is perfect. The Balaton Sound Festival attracts many local and foreign visitors in early July, where the music festival is set up along Lake Balaton, hosting DJs and performers from around the world. Sharing its name with the Zala River, the administrative county of Zala is situated in south-western Hungary, and shares borders with Croatia and Slovenia. The city is overflowing with natural beauty and a rich history, deep-rooted within its castles and fortresses peppered around the rolling landscapes. Zala is full of interesting towns, each boasting unique attractions. Spend a day in Héviz, where the slow markets and wine tours make for a perfect summer afternoon. Relax in the hot springs and thermal lakes where you can wind down from the day’s indulgences. 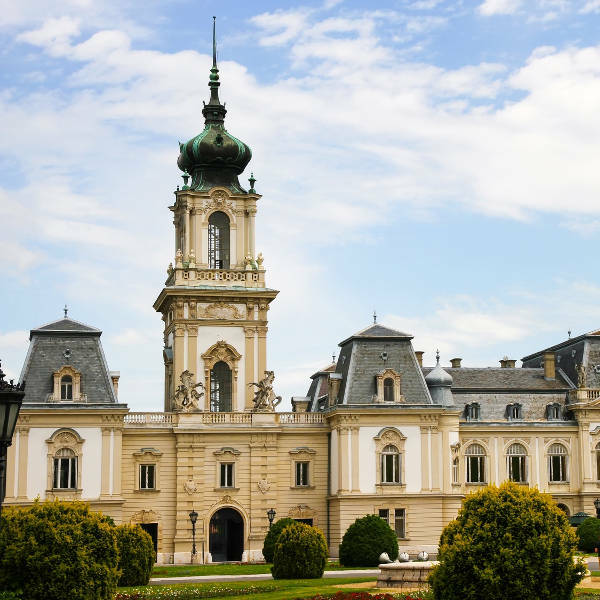 History buffs can enjoy the culture and ancient history in Keszthely, brimming with palaces, museums and grand castles. Some speciality museums to see are Balaton Museum, Snail Parliament and Festetics Palace. 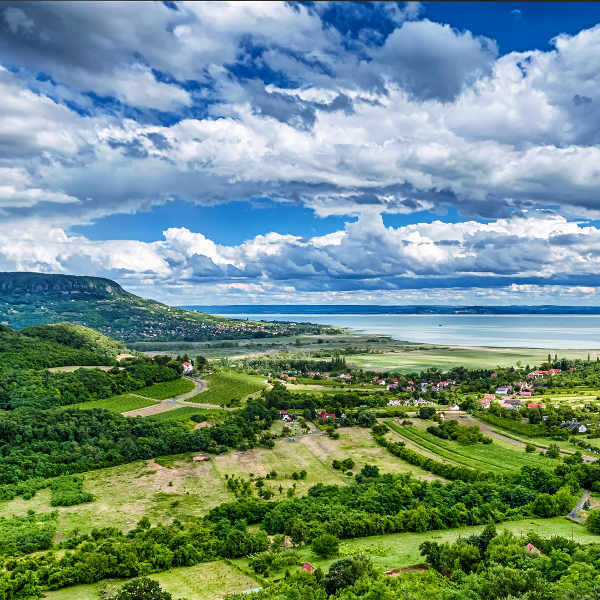 Lake Balaton is the major attraction of the region, home to sandy beaches, volcanic hills, preserved wetlands and tourist resorts. The surrounding medieval towns and vineyards are must-sees, with fragrant lavender fields and century-old cellars where you should sample a local bottle of “Pintest’’. Climb up the Siofok Water Tower and marvel at the breath-taking, panoramic views of the plush landscapes. Balaton National Park is home to Zalaszántói Sztúpa, a rare Buddhist temple. Nature-lovers can take a drive out to Orseg National Park, teeming with wildlife and folklore architecture. Compare several airlines, and book your cheap flights to Zala online at Travelstart! Zala and Hungary are known to be very safe places to visit, as the locals are very hospitable and welcoming to visitors. Keep an eye out over the busy season, as petty crimes like pick-pocketing are known to occur. There are no required vaccinations for Hungary, but it is advisable to be up-to-date on all routine vaccines. Tick-borne encephalitis is prominent in forested areas like Zala so you may want to consider a vaccination. Tap water is fine in the big cities, but is more questionable in rural parts, so still to bottled or purified water if you’re unsure.